The majority of pet owners have heard of microchipping, but worryingly, only a small percentage of us actually go ahead with the procedure for our animals. Nevertheless, as conscientious and responsible owners, it should be our priority to do everything in our power to keep our pets safe, and one of the best ways to do this is to microchip them. How does pet microchipping work? Microchips are widely used across various industries in the world. Each microchip is a radio frequency identification device (RFID) that is inactive until it comes into extremely close proximity with a microchip scanner. When the two come into contact, the microchip emits a unique number which is detected by the scanner. The number relates to an entry on a secure database of pet ownership information, enabling the veterinarian scanning the pet to make contact with the last known owner. We live in a world where our personal information and securing our privacy is incredibly important to us. For this reason, the only data stored on the microchip itself is the unique identification number. It is then necessary for someone who has the necessary clearance to access the database and obtain your details by inputting the ID number. These databases are extremely secure and can only be accessed by veterinary offices and similar. Many owners wonder if the benefits of microchipping their pets will outweigh the cost of the procedure. 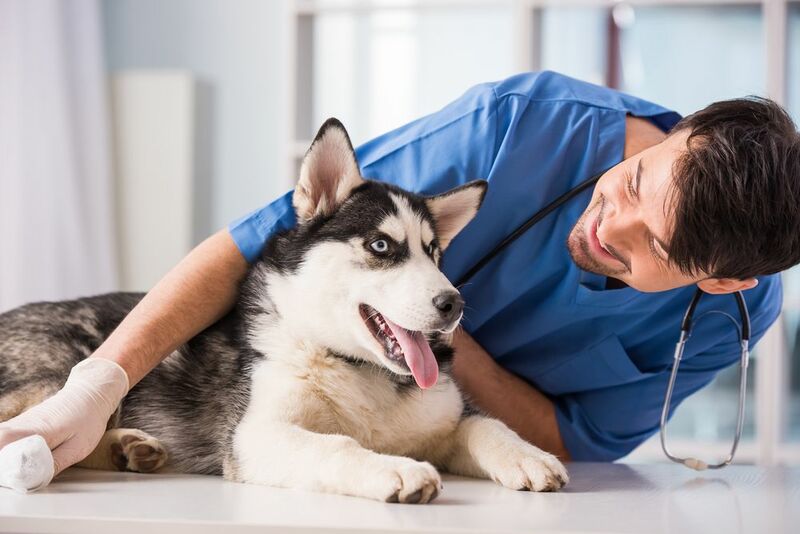 However, most pet parents who have had their animals chipped agree that there are a number of important advantages of doing so that should make microchipping an immediate priority. Every year, millions of animals across the United States become lost. Whether it is a dog that runs off at the park, a cat that wanders off and becomes lost or even a tortoise that escapes your garden, when you lose a pet it can be a heart-breaking situation. Collars and tags are not ideal options for every pet, but microchipping is a permanent placement inside your pet’s body, so cannot be removed by anyone other than a trained veterinarian. If your missing pet is found, the finder can take her to a local veterinary surgery to see if she has been chipped. If so, you can be contacted to come and collect her. Another problem with collars and tags is that they can be easily removed should someone stumble across your animal and decide to keep him for themselves. This is an unfortunate, but common occurrence, especially if your animal is a particularly desirable breed. Pet ownership disputes happen more often than you think, and they can be very difficult to resolve. After all, many creatures look very alike, and your furry, scaly or feathered friend is unable to verbally confirm who they belong to. However, provided you register your pet’s microchip with your details as soon as your take ownership (which you will need proof of purchase/adoption to do) microchipping your animal can easily settle any disputes. If your lost pet is found and taken to a veterinarian, if she is microchipped there is a much greater chance that she will be returned to you. In the devastating event that your precious animal has been discovered passed away, as is often the case with pets who have been hit by a vehicle while lost, microchipping enables your beloved baby to be returned to you so that you can get some closure and have time to grieve. Microchipping your pet is a simple, painless procedure that can help increase the likelihood that you are reunited with her should you ever become separated. Most owners agree that it is an invaluable investment that should be a priority of any caring and responsible pet parent. If you would like to find out more about pet microchipping, contact us and speak to our local veterinary team. Allergic dermatitis is a condition that causes skin irritation and inflammation. This is an extremely irritating experience for pets, and they will often be found itching, scratching, and even biting at their irritated skin trying to relieve the incessant itch. Over time, this itching causes red, inflamed skin, hair loss, bleeding, open sores, and bacterial infections. Should I Spay or Neuter My Pet? Spaying and Neutering your pet is highly recommended. This blog post gives you reasons and procedures of spaying and neutering. Call Bayview Pet Medical and Dental Center today if you have any questions. Bayview Pet Medical and Dental Center shares some of the most common questions related to pet parasite prevention. Call 228-872-4424 for details. Bayview Pet Medical and Dental Center shares some guideline of the things you should never do when bathing or grooming a pet. Call 228-872-4424 for details. How Effective is Vaccination in Dogs? Vaccinations form an essential part of preventative healthcare for pets and are usually administered on a strict schedule. Call 228-872-4424 to know more. What are Some Common Mistakes People Make When Training Dogs? There are a number of mistakes that owners make when training their beloved pets and some of these can significantly derail your efforts. Call 228-872-4424 for details. Bayview Pet Medical and Dental Center shares with you the pointers to consider before adopting a shelter dog. Call 228-872-4424 to know more. Our experienced team is well equipped to offer advice and support with pet allergies. Call our Ocean Springs, MS at 228-872-4424 to know more. Know the things that you can do at Bayview Pet Medical and Dental Center to help you feel prepared when dealing with a sudden pet emergency. Know about the microchipping and its benefits to your furry friend at Bayview Pet Medical & Dental Center. Dogs can identify tiny changes in the human body, and this enables them to be able to sense health problems before we are even aware of them. Know more about it here. As a caring and committed owner, keeping your pet safe is undoubtedly one of your biggest priorities. Read the list of pet dangers in your home at Bayview Pet Medical and Dental Center. One of the basic aspects of pet care is to feed him a nutritious and balanced diet. Read the feeding recommendation for your furbaby by The Bayview Pet Medical and Dental Clinic. Read about the tips and guidelines whenever you are traveling with your furry friend by Bayview Pet Medical and Dental Center. Contact 228-872-4424 for details. Read the guidelines on how to keep your pet’s food fresh by The Bayview Pet Medical and Dental Center. Contact 228-872-4424 for details. Learn about the guidelines towards your pet's healthiest diet by Bayview Pet Medical and Dental Center in Ocean Springs, MS.
Do you want to know why your cat is mad? Learn more about the conditions that affect your furry friend's mood and how to make it better. Contact 228-872-4424 for details. Skin disorders are a relatively common problem for dogs, and can stem a variety of causes including food or environmental allergies, parasites and fungal infections. Learn more here. Leash training is a great way to get your cat used to being outside. Learn more about training your cat on a leash here. Pet Dental health is also a very important part of your pet’s overall wellbeing. Learn more here. Pet immunizations should be a priority for any responsible owner as they can protect your pet. Learn more here! Don't have a Patient Portal?